The client is Zane Middle School, located in Eureka, California. Zane Middle School is a “STEAM” (Science, Technology, Engineering, Art, Mathematics) school, and features sustainable projects such as a recycling program and a rainwater catchment system. For this project, Trevor Hammons and Ron Perry from Zane Middle School asked that a patch of land nicknamed “the Triangle of Death” be converted into a hub of activity for the students. Team Triangle of Life, Amani Adams, Kelly Fuentes, Nancy Charco, Joseph Caminiti, was presented with a triangular piece of land located by the main office of Zane Middle School. This land contained old weed mat, weeds, dead plants, and a mix of dirt and bark. The land was unusable in this state and students cut across the land which prevented plants from growing. Criteria are standards that are based on a scaled system rather than a yes or no answer. Constraints are specific limitations on each of the criterion. These were determined by multiple meetings with the client and group brainstorming sessions. The final design is based around the following criteria and constraints. Functionality 10 Faculty, students, and visitors must be able to utilize the path without causing unnecessary foot traffic. Low Maintenance 10 The maintenance staff needs to approve the final solution. The final design must not add any extra work for the maintenance staff. Therefore, the uses of hardy, evergreen plants that thrive in the local climate and require little care, are a priority. Sustainability 9 Strive to use recycled materials that have low impact on the environment. Aesthetics 9 The final solution must be unique and appealing to the public because the design is a main focal point on the Zane Middle School’s campus. Safety 8 No material utilized in the final design can cause harm or be used to cause potential harm. The plants need to be approved and avoid poisonous, hardwood branches that may cause potential harm. Durability 7 The final design must withstand the day to day wear and tear and weather conditions. Cost 5 The cost for all materials total below the $400 budget. A solution of an aseptically pleasing, durable and maintainable site is implemented at Zane Middle School. Six walking pathways are laid out to avoid utility boxes, sprinkler systems, and pillars that are located in the area. The pathways emit out radially from the center to the edges of the triangle. The pathways are made out of urbanite, and are packed together with recycled concrete mix. A circular area, made of urbanite, is centered in the middle of the triangle to provide students, and teachers, with a social gathering area. Urbanite is implemented to reduce the amount of CO2 that enters the atmosphere, because the production of new concrete creates CO2 emissions. It consists of recycled concrete and slit. The open areas contain weed mats, to prevent a rise in maintenance costs, evergreen plants native to the local area, to maintain an aesthetically pleasing landscape, and redwood mulch, to match existing landscapes. The projects costs consist of the hours per month to maintain the project area, the hours of work invested in the project, and the monetary cost of materials both in retail and the amount spent. The initial design did not contain enough urbanite to pack the pathways together, so the steps were loose and were not the most visually appealing. After speaking with the client, it was decided that more urbanite must be put in place to increase the structural integrity of the pathway, to ensure the safety of the students, and create a more aesthetically pleasing landscape. Once more urbanite was added, the pathways held together much better and they withstood a week of foot traffic without any damage. The plants seemed to be thriving and the students, or community members, had not kicked up any of the redwood mulch. Faculty stated that they use the pathways often and that the students seem to respect the area and also utilize the area aswell. Step 1: Observe and plan out desired project design before starting. Step 2: Clear out area of existing weed tarp, weeds, dirt, and other waste material. Step 3: Mark out areas for walkways and center circle. Step 4: Dig out marked areas of dirt to desired specifications. Step 5: Put in place large urbanite pieces for centerpiece and walkways. Make sure the urbanite pieces are level for ease of walking and to prevent users from tripping. Step 6: Fill in sand/gravel mix in between the pieces to compact the pieces together. Test to make sure walkways are level, stable, and durable. Step 7: Place down weed mat and secure with staples or stakes. Step 8: Add redwood mulch or desired landscape material to cover the weed mat. Step 9: Plant desired plants and flowers. After many weeks of use, the pathways are speculated to pack down more and settle. This will create gaps between the tops of the concrete pieces and the recycled concrete mix, urbanite. This could present a potential hazard for walking and tripping. To mitigate this, more filler would need to be added in designated areas. The current filler is the recycled concrete mix, urbanite, from Alve's Inc. In the initial design for the Triangle of life, plans to put in benches made from upcycled materials along the walkways on the side of the triangle with the highest awning. Due to time constraints, benches were not implemented. The implementation of benches are highly recommended to students or the community members for future projects on the Triangle of Life. A potential causation of the withering of plants may be due to the redwood mulch soaking up too much water thus preventing it from reaching to the plants. If this happens, mound the redwood mulch around the plants and leave a gap between the plants and redwood mulch to allow water to reach the roots of the plants. Ali, N. S., Khairuddin, N. F., & Zainal Abidin, S. (2013). Upcycling: re-use and recreate functional interior space using waste materials. In DS 76: Proceedings of E&PDE 2013, the 15th International Conference on Engineering and Product Design Education, Dublin, Ireland, 05-06.09. 2013. Beardshaw, Chris (2008 ). “A fern favourite: The plant with a rich and ancient history.” Mail Online, <http://www.dailymail.co.uk/home/gardening/article-1077236/A-fern-favourite-The-plant-rich-ancient-history.html#ixzz3Z7eWqizb> (May 3, 2015). Bender, Steve (2015). “Azalea Essential Southern Plant.” Southern Living, <http://www.southernliving.com/home-garden/gardens/azalea-plants> (May 3, 2015). Bruno, Gwen (1997-2010). “Azalea Plant History.”GardenGuide.com, <http://www.gardenguides.com/79994-azalea-plant-history.html> (May 3, 2015). County of Humboldt. "Welcome to an Engaged Community." <http://www.humboldtgov.org/1217/Climate> (May 4, 2015). Fire Clay Tile (2014). “Glass,” <https://www.fireclaytile.com/glass/> (Feb. 20, 2015). Haggard, Pete. (Unknown). Northwest California natives tested in Arcata-Eureka area. Northcoastcnps.org, 1-4. Hamilton Parker Company (2015). “Brick for Outdoor Spaces,” <http://hamiltonparker.com/brick/outdoor/> (Feb. 20, 2015). J&J Materials (2015). “Building a Classic Brocken Flagstone Pathway,” <http://jjmaterials.com/2014/04/building-a-classic-broken-flagstone-pathway-in-scituate-ma/> (Feb. 20, 2015). Litchfield, M.W. (1997). Masonry. In Encyclopedia of Home Improvement (pp. 202-204). New York: Sterling Publishing. Schmidt, M., and Greenberg, K. (2012). Growing California Native Plants. University of California Press, Berkeley, Los Angeles, and London. 36-38. St. Houzz (2012). 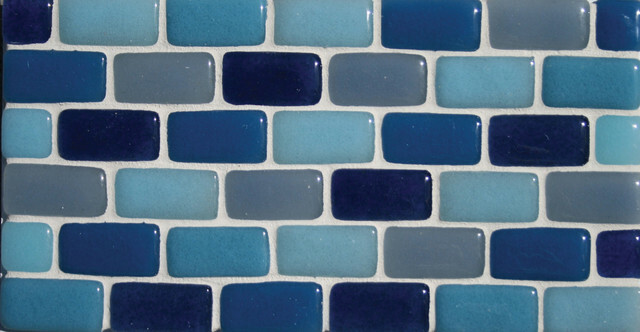 “Fireclay Tile Image,” <http://st.houzz.com/simgs/0d913b7801362524_4-2953/modern-tile.jpg> (Feb. 20, 2015). "Trends in Brick Plant Operations," The American Ceramic Society Bulletin. 1992, pp. 69-74. Page was last modified 23:02, 25 November 2018. Based on work by Amani Adams , Joseph L. Caminiti, Kelly Fuentes and Brent Davis, Appropedia user Nancycharco and others.